N-Acetyltransferase Mpr1 was originally discovered as an enzyme that detoxifies l-azetidine-2-carboxylate through its N-acetylation in the yeast Saccharomyces cerevisiae Σ1278b. Mpr1 protects yeast cells from oxidative stresses possibly by activating a novel l-arginine biosynthesis. We recently constructed a stable variant of Mpr1 (N203K) by a rational design based on the structure of the wild-type Mpr1 (WT). Here, we examined the effects of N203K on ethanol fermentation of the sake yeast S. cerevisiae strain lacking the MPR1 gene. When N203K was expressed in the diploid Japanese sake strain, its fermentation performance was improved compared to WT. In a laboratory-scale brewing, a sake strain expressing N203K produced more ethanol than WT. N203K also affected the contents of flavor compounds and organic acids. 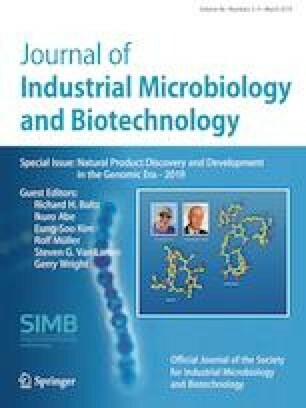 These results suggest that the stable Mpr1 variant contributes to the construction of new industrial yeast strains with improved fermentation ability and diversity of taste and flavor.